​My Caribbean Charters is owned and operated by ex Yacht crew Steve Varrow and Andrea Gonzalez, both have extensive backgrounds in the sailing, customer service and water-sports industry spanning 25+ years, running a charter brokerage is a natrual progerssion for the couple who knows what it takes to produce an unforgettable sailing vacation, thier combined skillset sets them apart from the competition and that shows in thier 100% record of 5* review rating for the charters they have delivered in the BVI, Windwards, Leeward Islands and Bahamas. Her specialty as a chef was Organic Latin cuisine as in South America all the produce is sourced and grown locally. She always tries to use organic and local produce in her cooking and loves to experiment with new recipes and ideas and is passionate about everything she does. 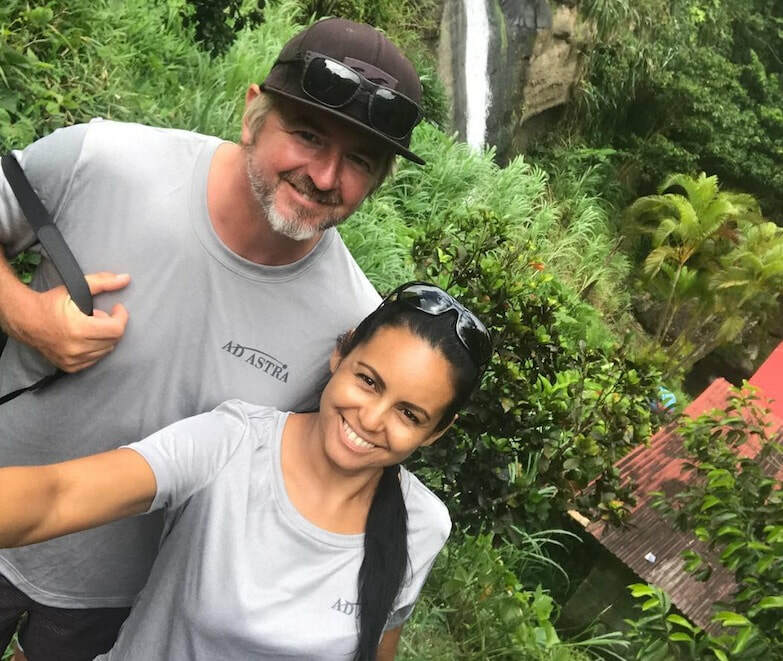 Andrea always has a cheeky smile on her face and guarantees all her guests will have fun on her charters, she is skilled as an Stand up Paddleboard Instructor and also licensed powerboat Captain and now full time yacht broker.